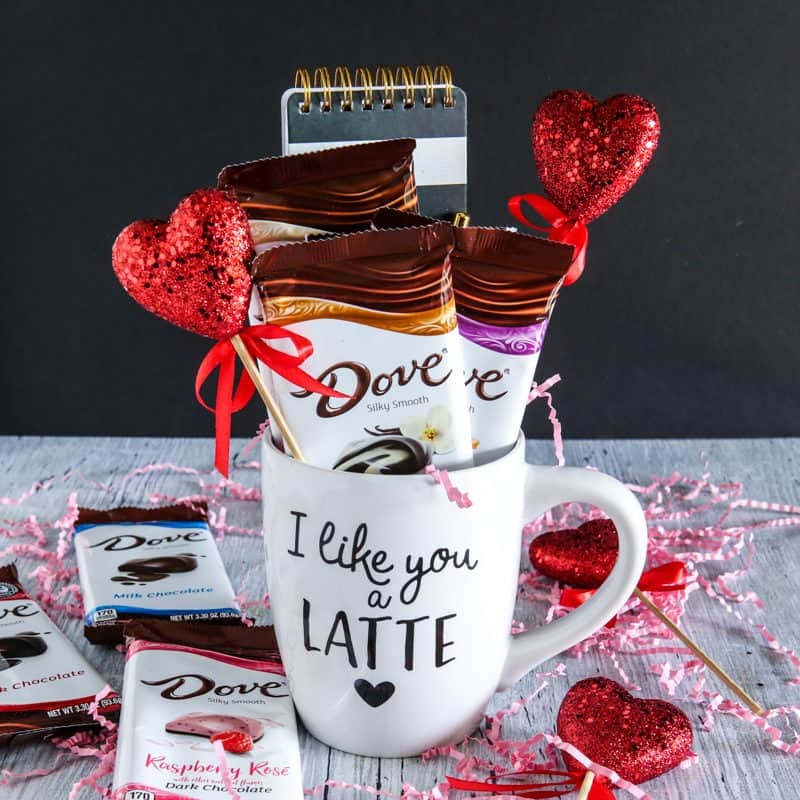 I’m so excited to get to share one of my new favorite treats, DOVE® Chocolate Bars (available at Walmart), in a fun and easy to make gift idea for Valentine’s Day today! Valentine’s Day is such fun holiday to tell the people in your life that you love them! My first thoughts are always gifts for significant others Valentine’s Day, but what about our dear friends? I am surrounded by the most wonderful, inspirational women in my life, and wouldn’t Valentine’s Day be the perfect Day to tell them I love them too? So for this Valentine’s Day I decided to make a few gifts for my the most special women in my life (mom, sister, girlfriends and my children’s teachers). 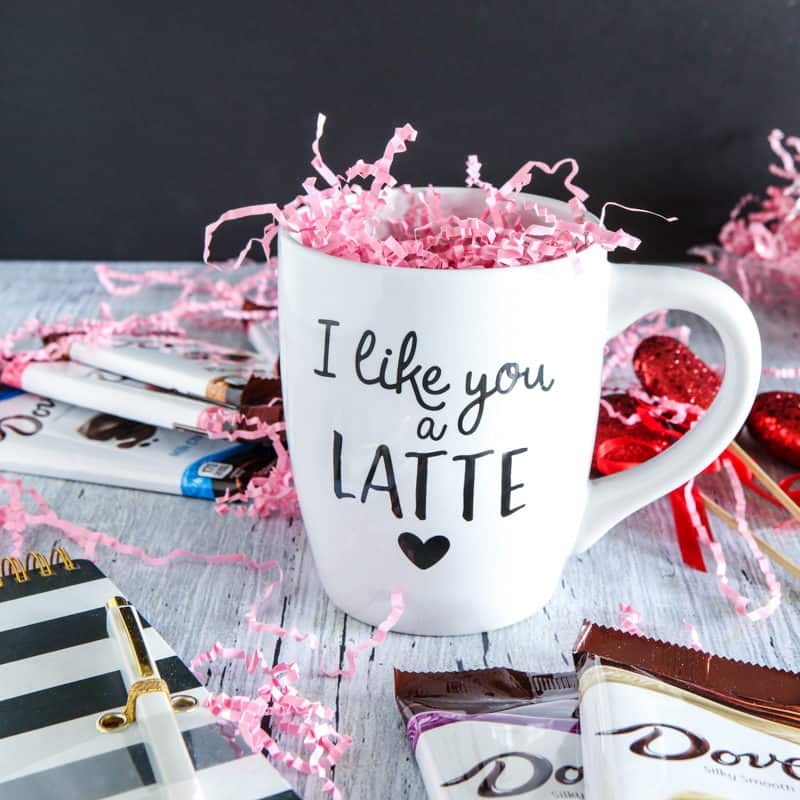 Since I was making several of them, I wanted to keep them small, but thoughtful, so I created this adorable mug filled with these NEW DOVE® Chocolate Bars available at Walmart. Here I have taken a cute coffee mug (that I also found at Walmart! 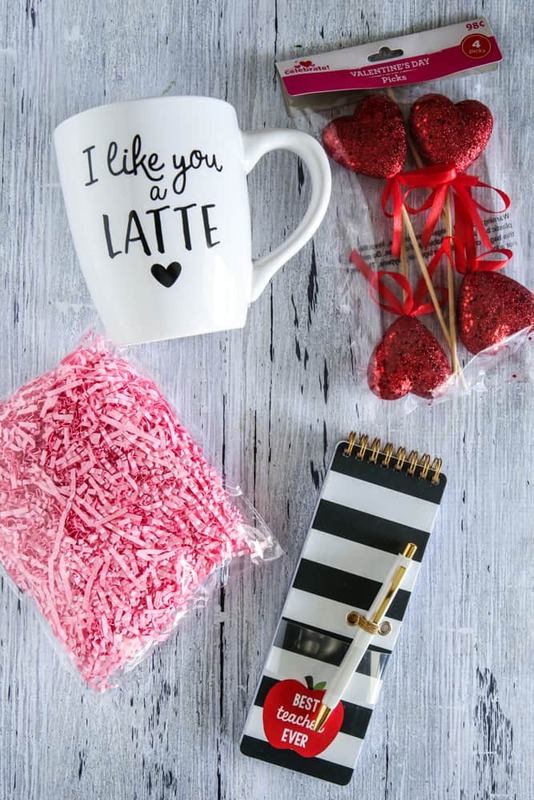 ), some pretty shredded paper, some stationary and pretty heart decorations to make these little gift mugs. In fact, I found all of these items at Walmart! 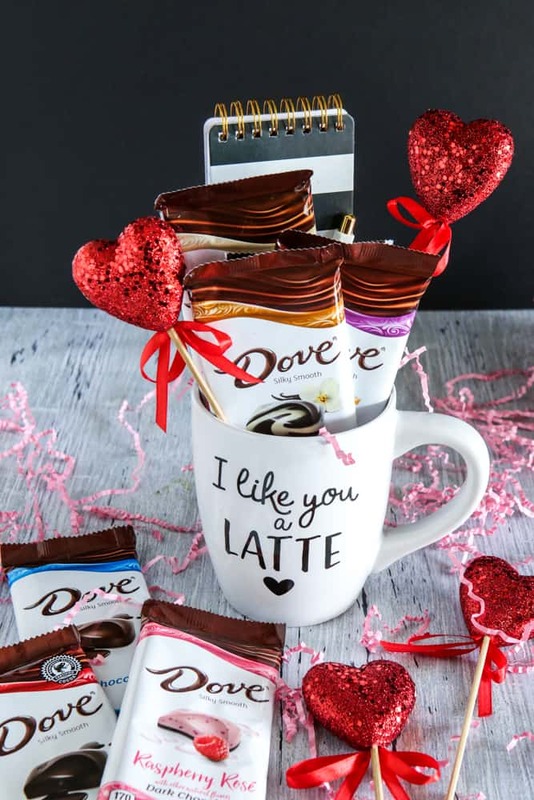 I picked out 3 of the DOVE® Chocolate Bars I thought each of my gift recipients would like the best and added them to the mug. 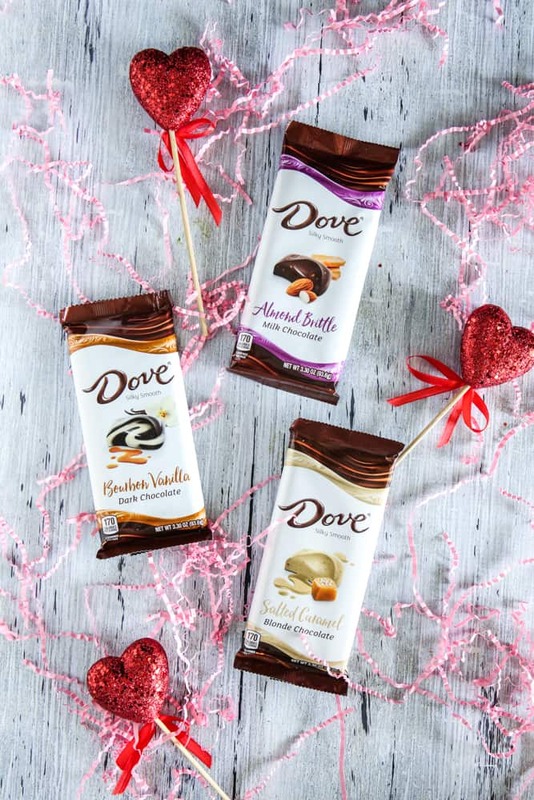 These DOVE® Chocolate Bars come in bold flavors, perfect for all my bold friends! I picked the DOVE® Bourbon Vanilla, DOVE® Salted Caramel Blonde and DOVE® Almond Brittle for this mug. Then just add some pretty pink paper in the mug. 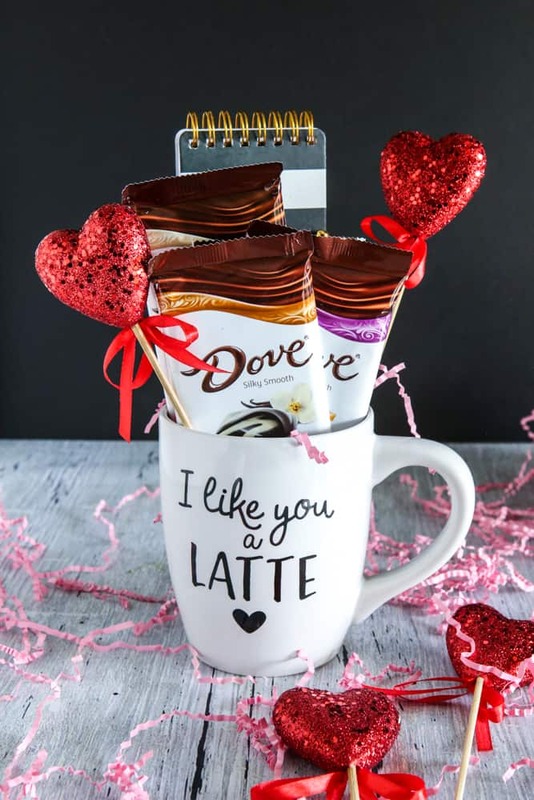 And then I place in the DOVE® Chocolate Bars, stationary and pretty heart pick decorations. It’s so simple! You can leave them like this, or wrap with a pretty clear bag and bow. The flavors I choose for this mug are amazing. The DOVE® Bourbon Vanilla is dark chocolate swirled with premium bourbon vanilla. What can I say? It’s complete perfection! DOVE® Salted Caramel Blonde is the perfect blend of white and milk chocolate with subtle sweet caramel notes and a hint of sea salt. It’s perfect for those who like that sweet and salty combination. The DOVE® Almond Brittle has rich buttery toffee and almond pieces surrounded by smooth dark chocolate. It’s absolutely amazing! The other flavors are also so delicious. Don’t forget to pick those up as well! DOVE® Chocolate Bars are my new favorite treats. There’s just something special about a simple chocolate bar. 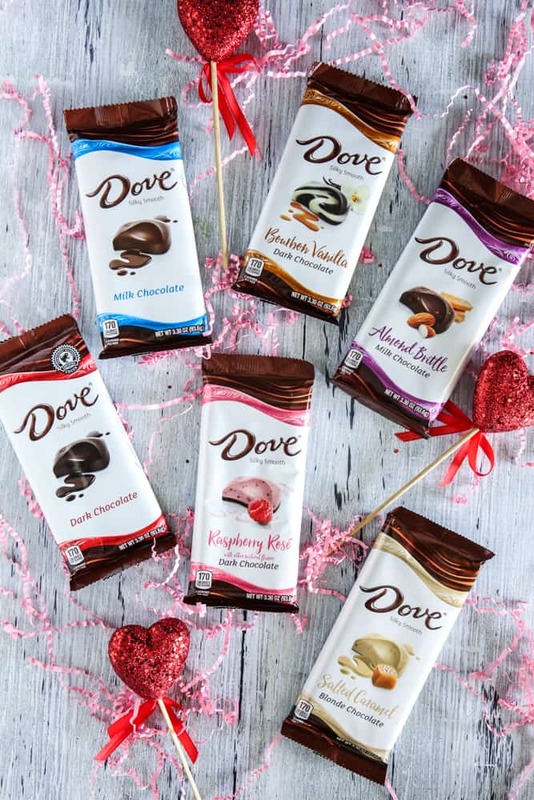 These beautiful DOVE® Chocolate Bars come in 6 amazing flavors, and to tell you the truth, I couldn’t pick a favorites, because they are all so amazing! The chocolate is just so smooth and perfect. 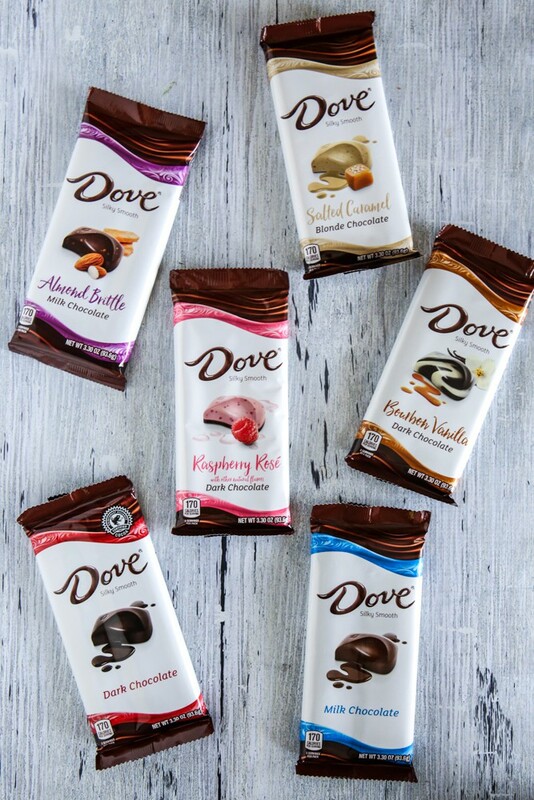 It’s so easy to find joy while savoring any one of these DOVE® Chocolate Bars. My favorite way to enjoy them is to share them over a good latte with a dear friend and great conversation. These are so simple and easy to do, and who wouldn’t love this pretty little treat! For more inspiration, visit the website here. 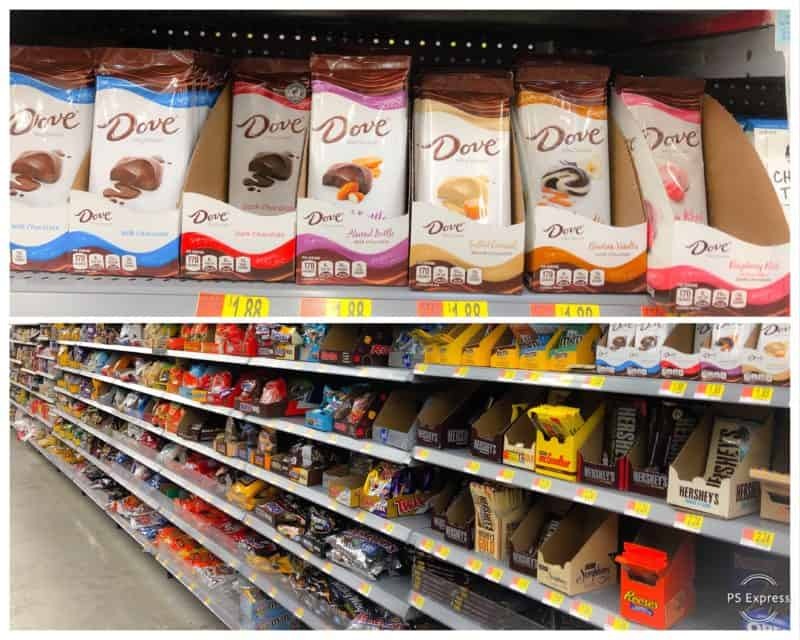 You can find NEW DOVE® Chocolate Bars in the Candy aisle of your local Walmart. New DOVE® Bourbon Vanilla Chocolate Bar Nutrition Facts: 3 servings per package, Serving Size: 1/3 a bar, Calories per serving: 170, Total Fat: 10g, Saturated Fat: 6g, Trans Fat: 0g, Cholesterol: <5mg, Sodium: 20mg, Total Carbs: 18g, Dietary Fiber: 1g, Total Sugars: 16g, including 15g added sugars, Protein: 2g. DOVE® Raspberry Rose Chocolate Bar Nutrition Facts: 3 servings per package, Serving Size: 1/3 a bar, Calories per serving: 170, Total Fat: 10g, Saturated Fat: 6g, Trans Fat: 0g, Cholesterol: <5mg, Sodium: 20mg, Total Carbs: 18g, Dietary Fiber: 1g, Total Sugars: 16g, including 15g added sugars, Protein: 2g. DOVE® Milk Chocolate Bar Nutrition Facts: 3 servings per package, Serving Size: 1/3 a bar, Calories per serving: 170, Total Fat: 10g, Saturated Fat: 6g, Trans Fat: 0g, Cholesterol: 10mg, Sodium: 25mg, Total Carbs: 19g, Dietary Fiber: <1g, Total Sugars: 18g, including 15g added sugars, Protein: 2g. DOVE® Dark Chocolate Bar Nutrition Facts: 3 servings per package, Serving Size: 1/3 a bar, Calories per serving: 170, Total Fat: 10g, Saturated Fat: 6g, Trans Fat: 0g, Cholesterol: <5mg, Sodium: 0mg, Total Carbs: 19g, Dietary Fiber: 2g, Total Sugars: 14g, including 14g added sugars, Protein: 2g. Okay how cute is that! I def like this a LATTE! Thanks for suggest best Idea!